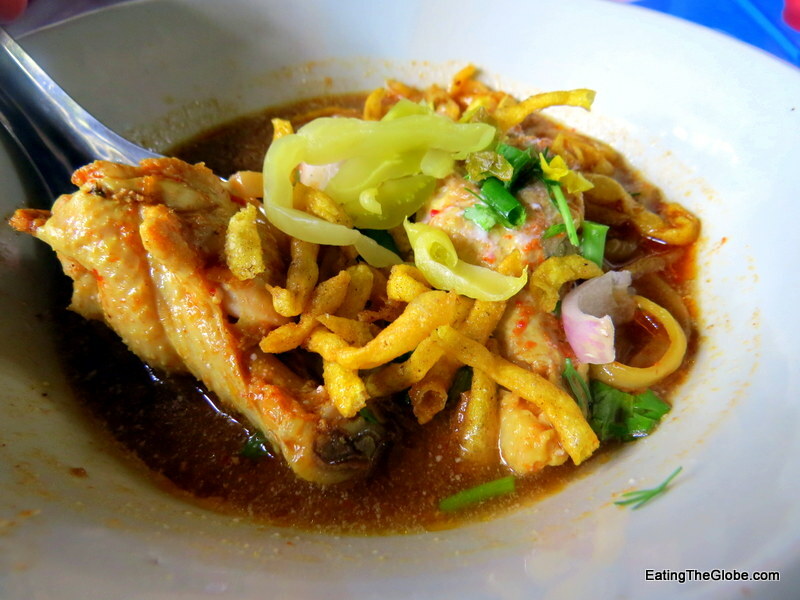 Khao Soi is one of my favorite things to eat in Thailand. 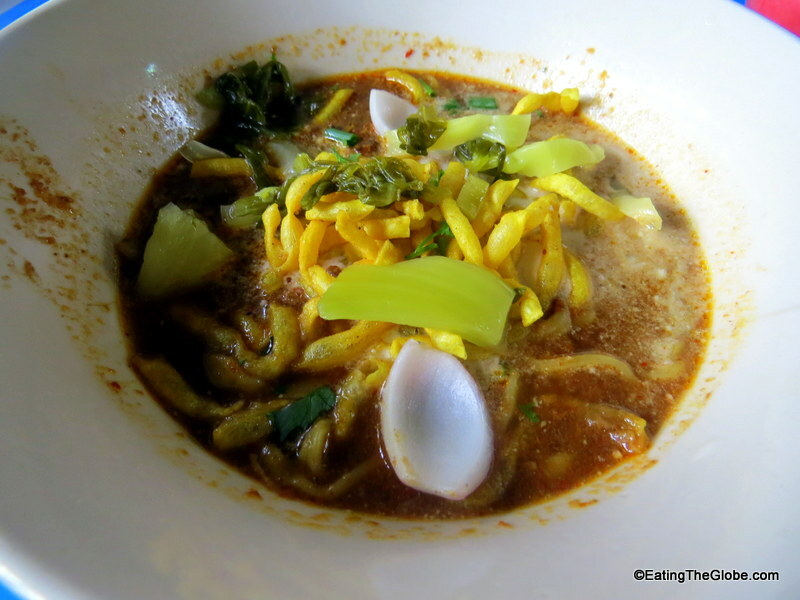 This coconut-curry noodle soup appeals to all the taste sensations: the intensely flavored broth is salty with a touch of sweet, the pickles add a touch of bitter and sourness, and the melding of the fish sauce and the broth is the perfect description for the Unami taste that makes you want yet another bowl, and another, and another. I love the textures in the bowl, too. Slurping the rice noodles, the bubbling spicy hot broth, the crunchy egg noodles on top, biting into a sour cool piece of cabbage that cools off your mouth. I love everything about khao soi. I have to agree with Andy Ricker, chef of Portland’s Pok Pok on this one. 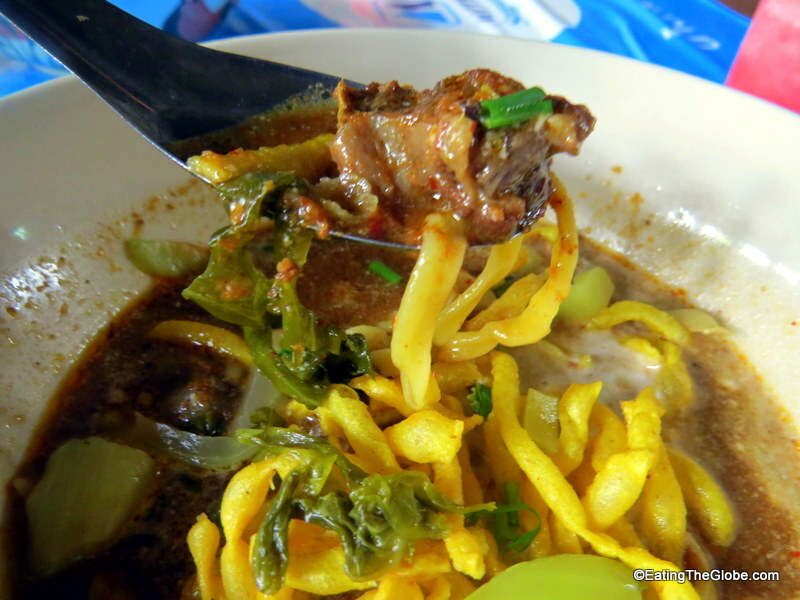 Khao Soi Lam Duan is my favorite place to get khao soi in Chiang Mai. They make it perfectly. The perfect amount of spiciness, not too sweet (too many places make it too sweet for me), just the slightest touch of coconut milk. Khao Soi Lam Duan makes both chicken and beef khao soi, and I think it will take another ten bowls before I can decide which is my favorite. The beef khao soi has an even richer flavor, and is something akin to the best beef stew you’ve ever imagined with a fiery, curry like spin on it. I seriously had to make myself stop eating this. I found Khao Soi Lam Duan by accident. I asked my tuk tuk driver take me to the place where he eats khao soi. He didn’t steer me wrong. 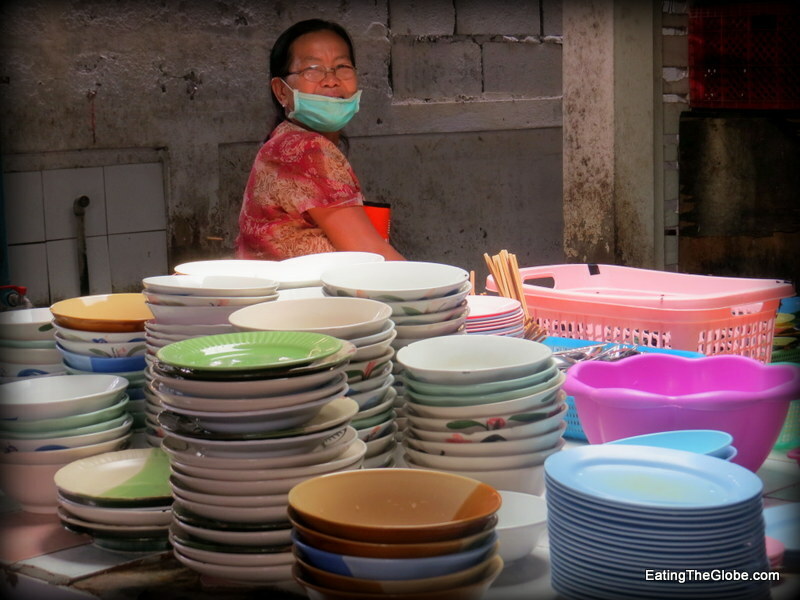 (Of course, he probably thought he did when I ordered yet another bowl!) There are no English menus and I was the only non-local eating there. 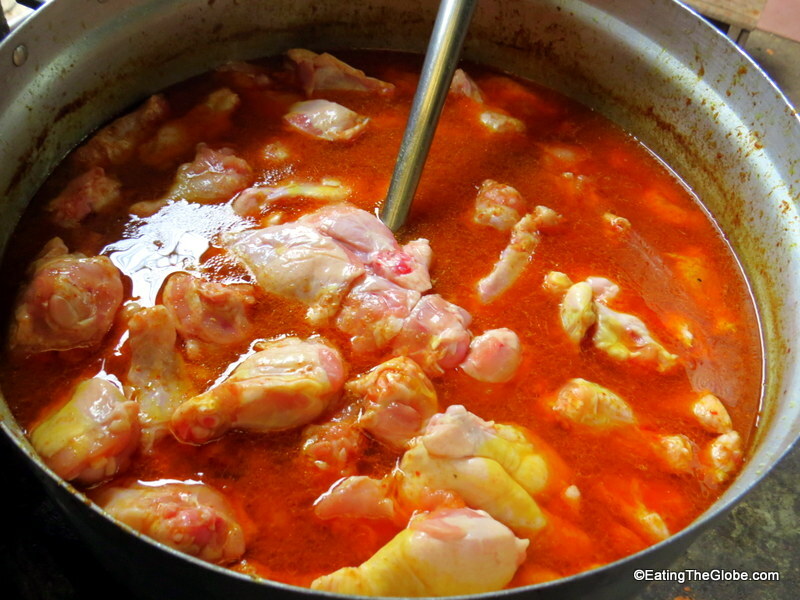 The broth simmers all day long and you will have your meal within seconds of arriving. 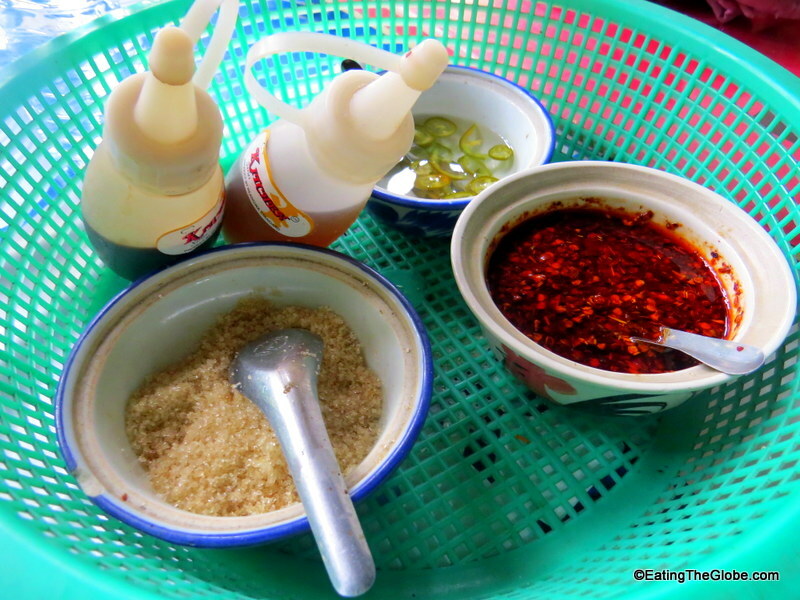 Once, you get your soup, garnish it with your choice of condiments, and slurp away! Don’t forget to get a coconut waffle or some coconut ice cream on your way out. They are the perfect ending to your meal. 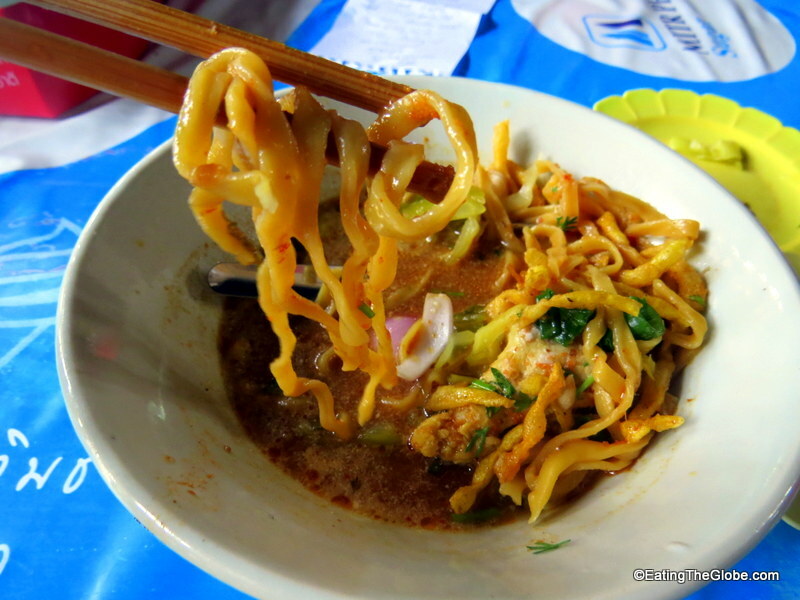 10 Responses to "My Favorite Khao Soi In Chiang Mai At Khao Soi Lam Duan"
Oh my goodness, this all looks so delicious! Khao Soi looks delicious, I’ll definitely have to try it! It looks soo good! It looks very fresh and savory! Thanks for sharing! Oh wow Valen I’ve never tried Khao Soi. Looking forward to trying that when we reach Chiang Mai in a couple of weeks (for my lovely wife’s birthday). It’s one of my favorite Thai foods! 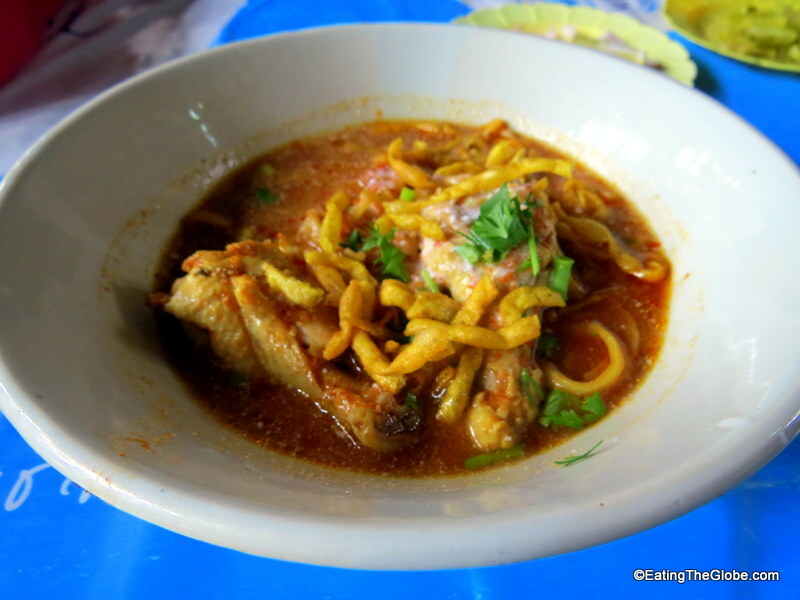 Khao Soi was my favorite thing to eat in Chiang Mai too. I never made it here but had an excellent vegetarian bowl (on multiple occasions) from the Khao Soi seller at the open food court of the Night Market. Would happily eat this every day of my life! Me, too!! Such a great soup in Thailand!